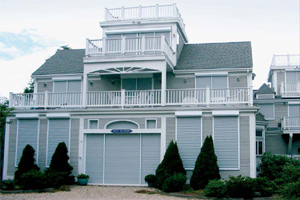 Rollshutters are the ultimate solution when you want to protect what’s behind your windows. Strong, secure and durable, Talius rollshutters glide easily into place when you need them and retract into an overhead panel box when you don’t. Manual or motorized controls ensure smooth, convenient operation and the rollshutters and frames can be tailored to harmonize with any exterior. Copyright © Mediabutton.com All rights reserved.